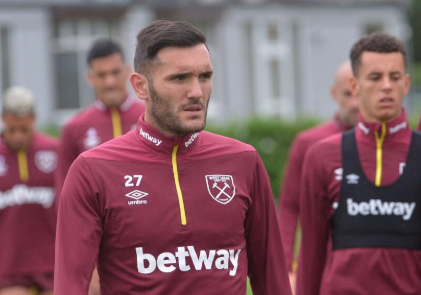 New West Ham United striker Lucas Perez undoubtedly took the chance to move to East London in order to revive his stalling career in the Premier League while with Arsenal. Having only netted seven times in 21 appearances for the Gunners, it was clear that his time at the Emirates was well and truly up. On paper, it made perfect sense to move across London to join forces with the Hammers, but the 29-year-old is yet to make a first team start in the Premier League. His only outing for the Irons came in the Carabao Cup tie against AFC Wimbledon, where they ended up securing the win – however, the Spaniard’s mistakes ensured that he was the forgotten man on the pitch. It can be argued that hardly anybody knew he was playing until he was substituted in the second half, but boss Manuel Pellegrini must give him the opportunity to sweep away his mistakes and give him a chance to turn the club’s fortunes around. No team in England’s top four divisions would be afraid of facing West Ham at the moment, and they only have their impotent attack to blame for that. Their only two goals have come from Marko Arnautovic, and it is not like he can be solely relied upon to deliver their only attacking threat. Yes, he is a good striker, but it is time for Perez to prove any doubters wrong, and show he is capable of fixing this mess that the Hammers currently find themselves in. He may not have had the best of times at Arsenal, but this was because he was not given enough chances to prove what talent he can be. Pellegrini has not really had a selection headache to contend with since taking up the job earlier this summer, but now is the time for him to try something different in order to give another dimension to the team’s attack. Perez is just the answer to that problem – and he must be handed a starting spot to undo any previous mistakes.